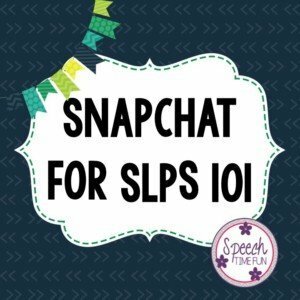 Snapchat For SLPs 101: What is it? How can I use it? I have very recently jumped on the Snapchat bandwagon. 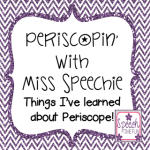 I was hesitant to learn another social media platform. I was noticing that many celebrities and companies that I follow on Instagram and Facebook were using this platform in a fun and creative way. Well, I like to have fun and be creative! Also, humans tend to like visuals and quick images that give them lots of information (hence Pinterest and Instagram). It is a free app and another form of social media. 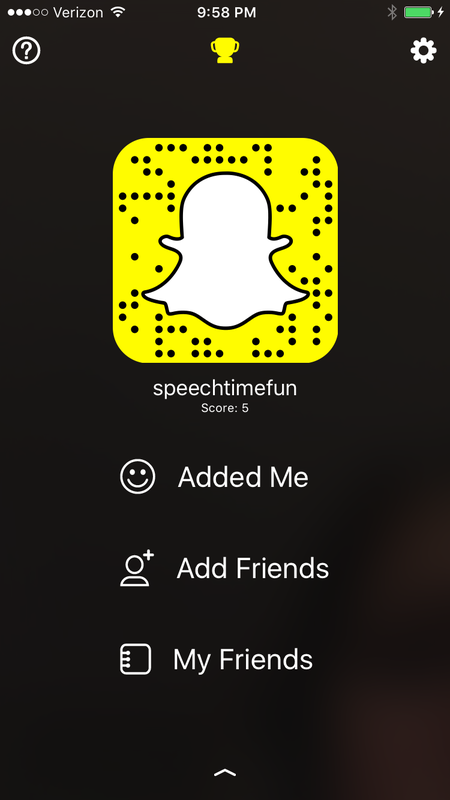 You can add people by username or snapcode (kind of like a QR code). You can’t search by people or hashtags. It is kind of hard to find people unless you know they are there! That makes it fun and kind of like a secret society! You can watch people’s “stories” which are a images or videos only shown for a couple seconds. So watch quick! If you want to save for later, take a screen shot! You can also tap a “chat” icon to respond back. Lots of people pose questions hoping to interact with their followers. You can also send a direct “snap” to someone, kind of like a private message, which can be a text, photo or video. 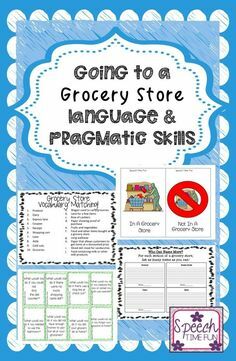 How can SLPs use it? 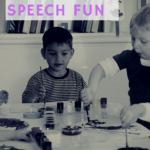 To share glimpses into the speech world! 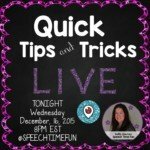 We all love quick tips and insights into each other’s world. We all lead busy lives, so a way to quickly get an idea, share an exciting moment, ask a question about a difficult case, or just show what we do on our spare time after work is just fun and beneficial! 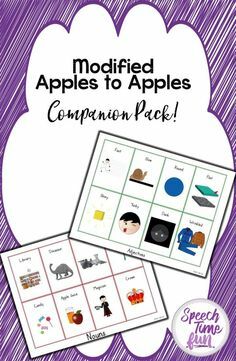 I have been using it to connect with you! 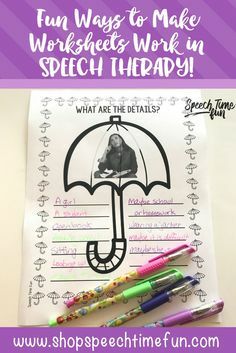 I love hearing from you what you are working on in your therapy room, what you do when you first get to work or when you first get home from work. I also show quick “snaps” of me doing therapy! I recently shared a tour of my therapy room! 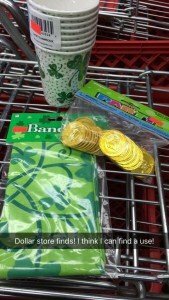 I also shared fun St. Patrick’s Day finds from The Dollar Tree! I let you be the first to know about new products or blog posts, without spamming your Instagram feed! 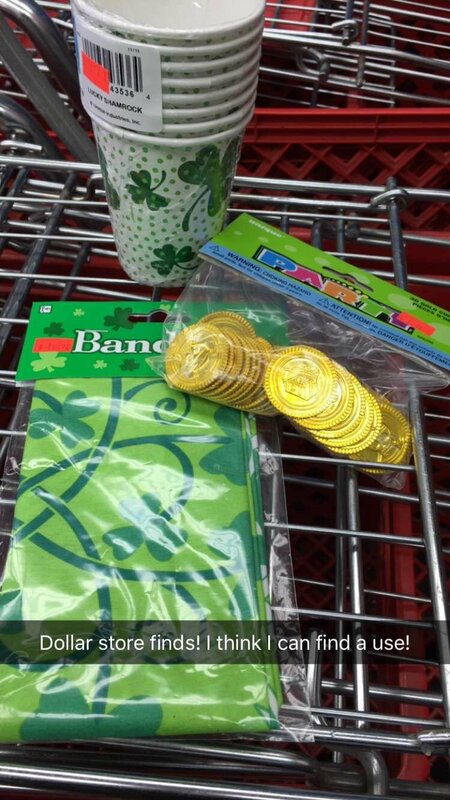 I have even given away about 5 TpT products thus far through Snapchat contests! Yes, I try to do a contest almost every week!! 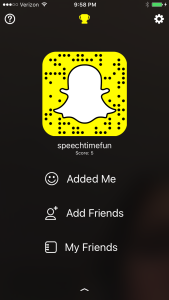 If you are already on Snapchat and want to follow me you can just type in my username or scan the snapcode. Not on it yet, go into your app store, download the app, create an account and add me! Who else could you follow? HERE is a link to some celebrities to follow! and so much more! If you already follow them on Instagram, they probably shared their Snapcode at some point. Why follow them elsewhere? You can get exclusive images and information they won’t share on Instagram because of fear of looking spammy! Interested in learning more about SLPs and social media? 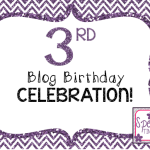 Check out this blog post! 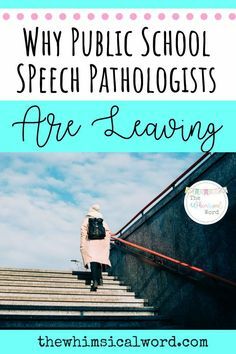 Dabbling with Speech Fun Facebook Group: Stay Positive and Celebrate Being an SLP! 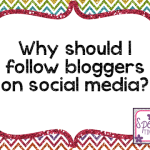 Why should I follow bloggers on social media? 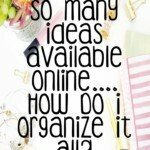 So Many Ideas Available Online….How Do I Organize It All? !